No wires, no restrictions. With Jam® Live True Bluetooth® Earbuds, you're free to move. Two separate earbuds fit snugly and comfortably into each ear, delivering up to 3 hours of play time with a single charge. When you're done rocking, pop them back into their charging and carrying case for up to 7 full earbud charges. You'll love that the case doubles as a backup battery for your mobile devices. Features Bluetooth 4.1 and wireless calling capability. Truly wireless earbuds with no wires and no restrictions. Two separate earbuds fit snuggly in each ear. Delivers up to 3 hours of play time on a single charge. 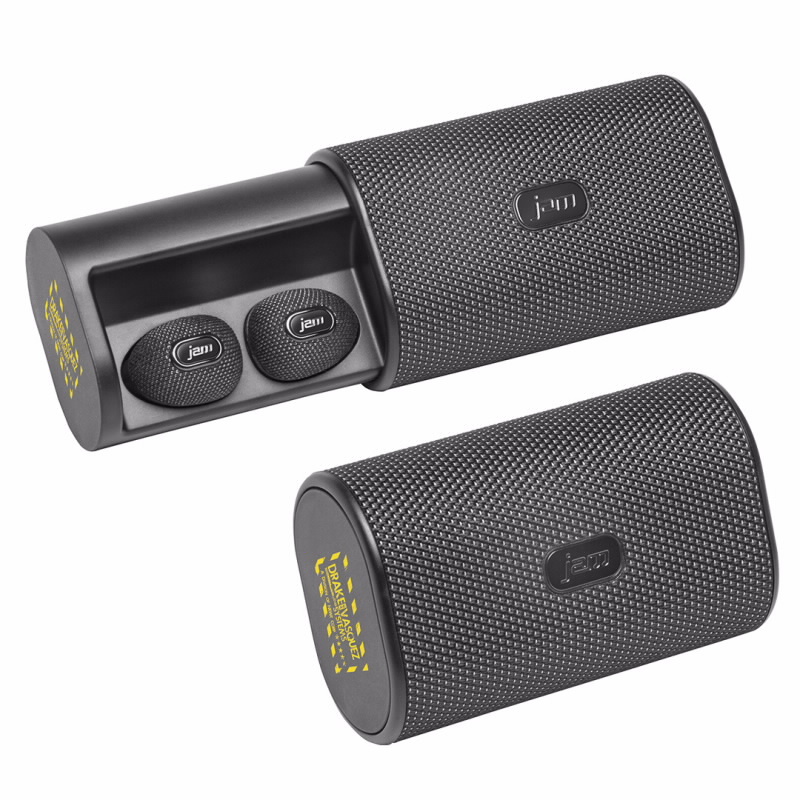 Earbud carrying/charging case provides up to 7 full charges before needing to be recharged. Charging case also doubles as a power bank to charge other devices. Features Bluetooth® 4.1 and wireless calling capabilities. Charging case includes 2200 mAh battery. Pad Print Set-Up $50.00 (G) per order.